1. Open the repair bid from Properties>Preservation. 2. Click the Bids sub tab. 4. The screen below will appear. Complete each field and click the green Approve button at the bottom of the pop-up. 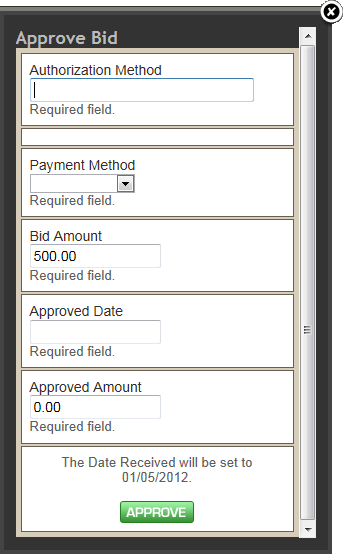 Note: Any bid approval information previously entered will auto populate on this screen. 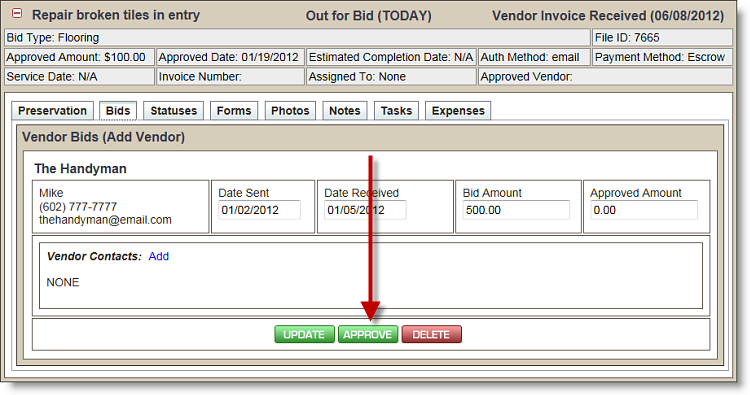 The approved bid will now display in green, as shown below, and the status of the repair will now show as Approved.